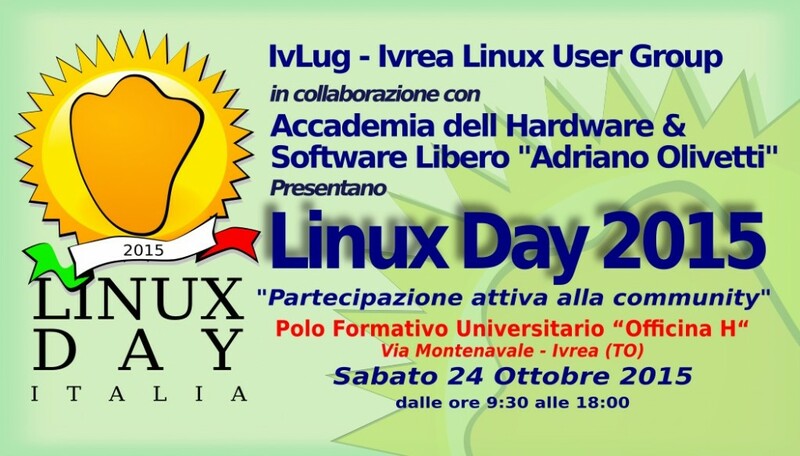 On Saturday, October 24th 2015, from 9:30 am to 06:00 pm, you are all invited at the “Officina H“, in Via Montenavale, Ivrea (Italy), to personally experiment the “Freedom” granted by applications based on free software e hardware. 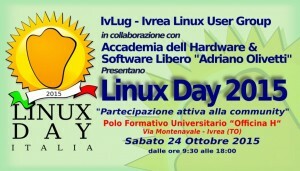 The program of the day consists of many interesting events. Download the flier with the full program and help us promoting this event. Print and expose it, or send it to your friends and people you know.